In order to connect your Intercom account to your Lightspeed store you need to create an Intercom account first (create account here). Already using Intercom? Great! Continue step 2. 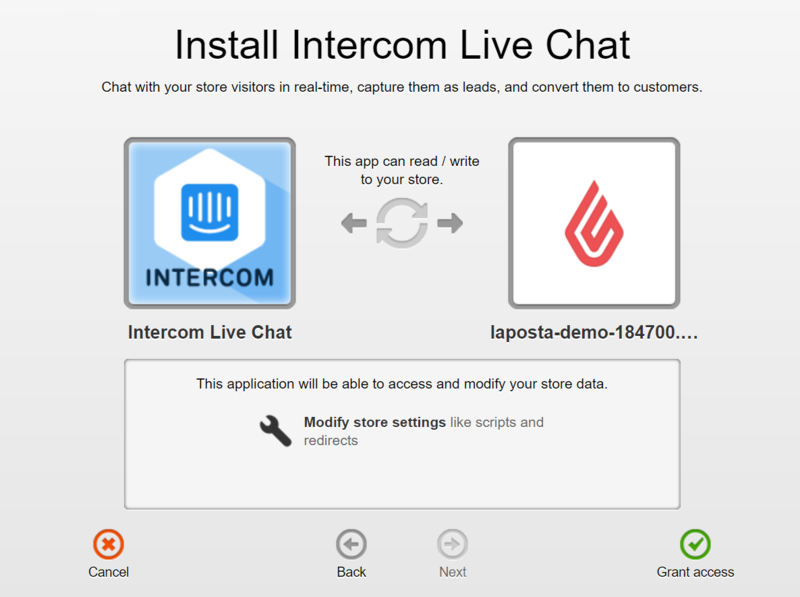 Visit the Intercom app in the Lightspeed app store here and click on red green INSTALL button. Or visit the app from your Lightspeed back office page. Your now forwarded to the install page. Click the green button 'INSTALL APP'. Fill in your store credentials and hit NEXT. Continue by clicking GRANT ACCESS. Step 5) Connect you Intercom account. Click the orange button to connect your Intercom account. No account yet? Create an account first here. Next enter your Intercom App ID. This you can find in your browser url or in your Intercom menu > Settings > App Settings > API Keys (down the buttom). Do I need to pay for Intercom?